You can change your password directly on your account or if you have forgotten it, you can easily request a forgotten password reset. 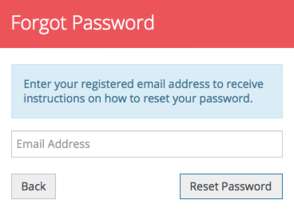 If you have forgotten your password you can request a forgotten password reset from the Sign in box. 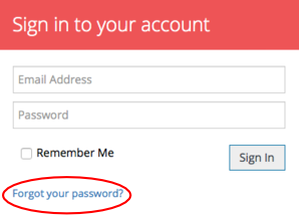 When logging into your account click Forgot your password? 2. You should type in your registered ExpenseIn email address. 3. An email will be sent to this address and you click the link to reset your password. 4. 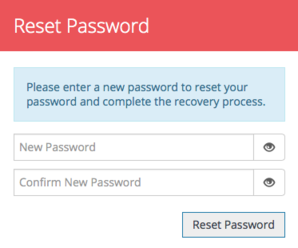 Enter the new password and click Reset Password. If you haven't forgotten your password but would like to change your password, you can do this in your My Profile area. Click the Cog icon in the top-right hand side of your account and choose My Profile. Click Change Password in the left-hand menu. You can now add in your current password and new password. Click Update to change your password.